And so we reach the conclusion of Mézières and Christin’s saga, told across 22 volumes of creative, thoughtful and sometimes bizarre tales. This final book is an end piece, or an appendix, rather than the last chapter, collating a brief series of vignettes about characters we’ve met along the way and simply expanding their stories or offering an element of closure. The most intriguing one for me was the history of Laureline, teased in an earlier volume with an image on a timeline of her in animal skins hiding up a tree saying that she was from Earth’s past. That one is put to rest at the beginning of this final volume, although such is the brevity of the stories in here there’s not much room to expand upon it. Certainly a broader look at this period would have been welcomed, but we’ll have to take what we can get. There’s plenty of other characters and scenarios that get revisited, including the skromm-house, the Heroes of the Equinox and New York back in 1986. Each gives further insight into those tales or just has a bit of fun with it. As a result the book is more a love letter to the series rather than an essential final segment, but if you’ve come this far since book one you’re not going to want to skip over it. 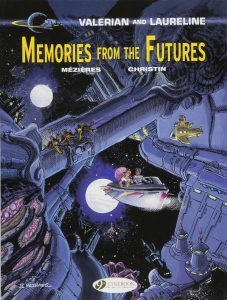 Potentially the most entertaining aspect of the book is Mézières’s opportunity to stretch his artistic legs with some large-scale artwork at the beginning of each chapter, giving him the ability to show off his skills and prove, over the course of several tales, just how diverse an illustrator he is. For all of the strange scenarios Christin has conjured up over the years it has been down to Mézières to have to show them on the page so his ability to render countless different worlds and organisms, spacecraft, cities, technology and more, and create them so they are distinct and individual to their cultures and planets is a huge achievement. Without him this series would have been very different, and potentially not as iconic. 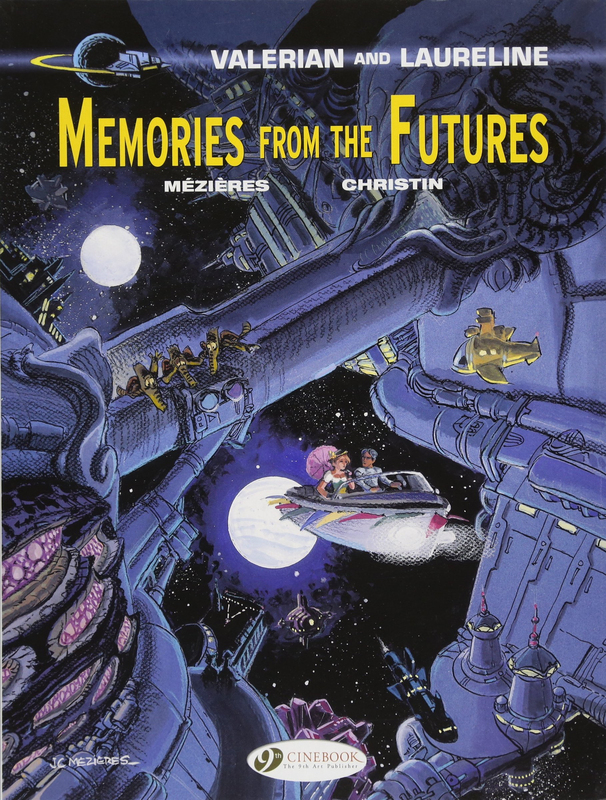 So that brings it all to a close, and we say goodbye to Valerian and Laureline. Thank you, Mézières and Christin. That was pretty damn good.